Only €30 or the US$ equivalent plus postage. This book is dedicated to my beloved wife Adina, who supports me all the way. Thanks to her I continue to make music and to contribute my experience to the world of the accordion. 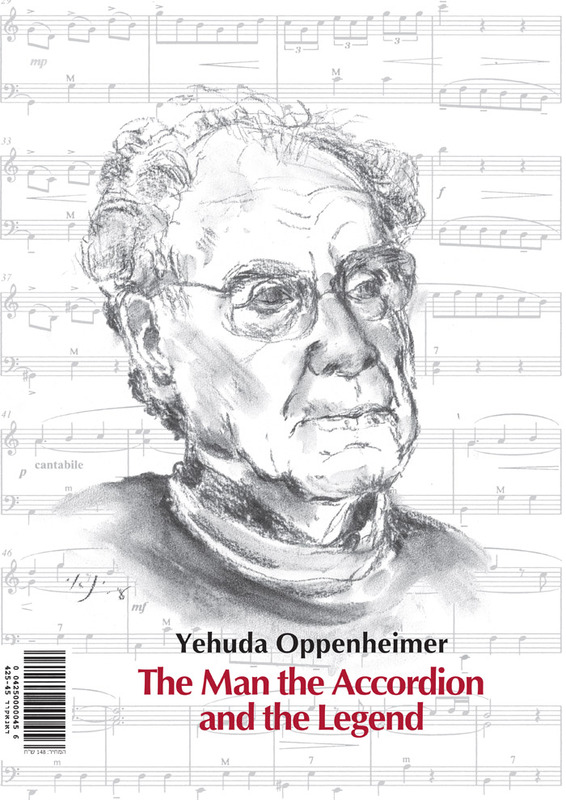 This book is about Yehuda Oppenheimer, a musician, a composer, a teacher and a educational mentor who educated generations of Accordion musicians scattered all over the world. This collection is composed of his own musical compositions and his arrangements of classic works, songs, duets and orchestral music. When Yehuda was 6 years old, in Frankfurt Germany, he went with his parents to a musical instruments shop, just next the Opera House. His eyes laid on a small Accordion with 24 basses: "this is what I want!" he said and wasn't ready to leave the shop without it. Eventually his parents bought him the magical instument. The love affair begun, and from that day on, Yehuda and the accordion were one. Yehuda, born 27-4-1925, is the son of Joseph Oppenheimer from Germany and Josephina Jacobson from Amsterdam, Holland. This family branch is the descendant of Uri Halevi, 1544-1622, who was the head rabbi of the Jewish community in Spain since 1564. He was responsible for the saving of the remaining Jewish community in Spain and Portugal by moving them to Amsterdam. Although the Oppenheimer family was Ashkenasi, they were given a respectable seat in the Portuguese synagogue in Amsterdam, due to their family heritage. When Yehuda was 12 years old, the family fled to Scheveningen, Holland, hoping to escape the Nazi regime. Yehuda took piano lessons but kept plaing the Accordion. He already was the Soloist leader in an Accordion orchestra without taking even one lesson on this instrument. Yehuda studied to be an electrician in a professional school. In 1940 the Nazis occupied Holland and forbid the Jewish children to go to school, but Yehuda was delighted to stay at home and play all day long. Scheveningen was a summer resort on the beach. Musical concerts took place every day and Yehuda showed up in each. By 1941, all the Jews who lived by the beaches were forced to move to Amsterdam. In this year his sister, her husband and son were taken to the concentration camp Westerborg where Yehuda managed to smuggle in some classical records. Yehuda was a messenger between the Judenrat (offices of the Jewish community) and the Germans. He was humiliated by the Dutch Nazis and was forced to do knee bends, and when that wasn't difficult enough they pu a heavy log on his shoulders. One day, he was threatened by a Dutch Nazi who pointed a gun to his head and tried to force him to sign a declaration to work in Germany. Yehuda could not believe that someone will shoot him, just like that, in broad daylight, so he turned his back and left the office. Needless to say, he never returned to that place and he understood that he would have to disappear if he wanted to live. The next day he left his home with the help of his friend Elizabeth (Bep) Musli who found a hiding place for him in the attic of the Deenich family in Hilversum. An Orthodox Calvinist Christian family. Yehuda was hidden in the attic. In addition, the family built a special hiding place for Yehuda, attached to the roof where he could hide if the Nazis would come in and search the house. The Naziz did come for searches but they never found him. The Owner of the house was a baker so Yehuda didn't suffer from hunger. The family had 5 children, 4 lived at home. One day after he left, his girl friend came to inform his parents that he was safe but found the house empty. In 1942 the parents were taken to the concentration camp Bergen Belsen. His sister, her husband and three children were transported to Auschwitz on the last transport and were executed. His parents were saved by a unique exchange of 222 Dutch Jews from Bergen Belsen with German Templers from Israel in 1944. His parents arrived to Kfar Hasidim in Israel where his elder brother, Jacob (walter), who immigrated to Israel on 1939, lived. Yehuda lived with the Deenich family for 2 years and 8 months. He wrote daily on his diary about the war, his dreams and hopes that the war will end and listened to the BBC radio day and night and was up to date on the events. A funny episode from these days is about one of the Deenick's children who played the organ. Yehuda took the opportunity and played as well. One day the neighbour told the mother: "your son had progressed a lot in playing lately", and that was the end of Yehuda privillege to play. The warm bond with the Deenich exists untill today. The organ player Wim became a protestant priest and lived in Australia. He received the honorary title of "Hasid Umot Olam" for hsi family. The priest visited Israel during the nineties and Yehuda and his spouse Adina spent a very emotional week together with him, touring Israel. Wim said it was the most emotional week of his life. Yehuda made Aliya in 1946 with a certificate that his brother sent to him from Israel. He joined his family in Kfar Hasidim and then began officially his career as an Accordion teacher. The desire to study to play the violin made him move to Jerusalem to the Academy of Music. By the end of his studies he knew that he would bot be a great violinist but the knowledge he acquired served him as musician and a teacher who wants to inspire his students to love and understand music. The polio epidemic became unruly in Israel and Yehuda got sick and was released from serving the army. Yehuda was lucky and he recovered. Later he volunteered to be a musician in the entertainment department of the Israeli army. He played classical music to the soldiers every day. He also accompanied the legendary Ladino singer Yitchak Levi and was in the same entertainment team with Yaacov Banai the comedian and David Chen the violinist. He was released from the army and began performing as soloist in evening concerts, and was highly desired by the Hityashvut HAovedet, the Israeli workers movement, ans was always in demand for his work. He played in more then 170 Kibbutzim and was invited to play in hotels and recuperations resorts all over Israel. His performences included classical pieces, light music and quizzes. the demand was so high that he could no longer travel by bus or bitchhike and he had to buy a car. The car was bought in 1951. A legendary Fiat Balila, 1937 model, two seats and another seat in the trunk for the Accordion. He was a appreciated teacher and one of his first students was Tuval Vater the Accordionist of the "Tarnegolim" band and a well known musician up till today. One day, a nice lady approached him. Her name was Clara Silber and she was looking for a teacher for her 12 years old son. Yehuda came twice a week to teach and was always welcomed with warmth and kindness. Slowly he became closer to Clara who was a widow since The 48 war the stayed together. On one of their holidays they drove to Tivon and fell in love with the place and in 1953 they decided to move. It was green and peaceful place, so much different than the big city. In addition to music, Yehuda enjoyed gardening and set up a beautiful garden around his home. During those years the Accordion was star instrument everywhere. In the army bands, Folk dancing, and singing. Yehuda used his classical background to the music he played and was considered the best Accordionist around. 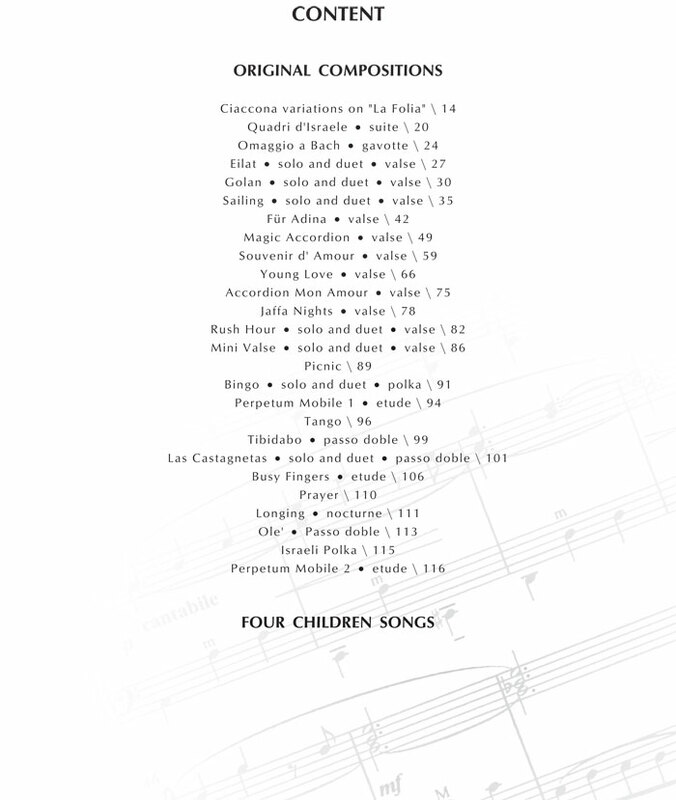 Bach's works sounded like a church organ as well as his arrangements of Noami Shemer's "Jerusalem of Gold", "Amud Haesh" of Shem Tov Levi and many others. In addition, Yehuda made a significant contribution to the education of the children in Israel, among other things in the unique "Musical Youth" program, where he performed many times for Israeli children at schools from Metula to Eilat. The children heard his concerts sometimes as a soloist and sometimes with Erela Hibovsky, the trumpeter who plays in the Haifa orchestra and with Yona Yelin, a singer who lives and performs nowadays in the USA. During the concerts Yehuda was aksi talking and explaining the music and musical instruments they played their origins and the manner how they function. Some nice episodes from those days are: After a long lecture about the Accordion, a child raised his finger and asked "Is this a violin?" or after and explanation about Mozart another child asked: "Are you Mozart?" One day they arrived at a school in Haifa and he heard a girl talking to her friend and asking: "Are you coming to the concert?" and the friend said: "Am I crazy to come?" Yehuda played also in the kindergartens in Tivon. Once a week he played and educated the small children to love and enjoy music. 2 of his most talented students began their musical education at the kindergarten age, and one of them even gave a small concert at the end of the year party in the kindergarten. some years later those 2 were awarded first prize in a youth musicians competition in Italy. Yehuda wrote a book "Know your Accordion" with his friend Yoseph Pritsch that is the basic book for Accordion studies in Israel and every single Accordion student in Israel is familiar with this book. 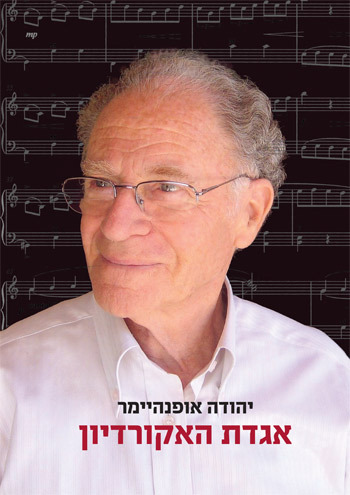 Yehuda published some albums of "famous classical pieces" and arranged 2 etude books, 2 sonatina books, and 5 albums of Folk songs, Israeli songs and more. In 1968 they played at "Zionists of America" hall in Tel Aviv. The music criticizer Menashe Rabina wrote: "The Accordion is very powerful and can compete with many musical instruments, It is a blowing instrument and can sound like the human breath. The Tivon Youth Orchestra, composed of some 15 members was awarded the 'Nahari Youth Festival' award in 1968. 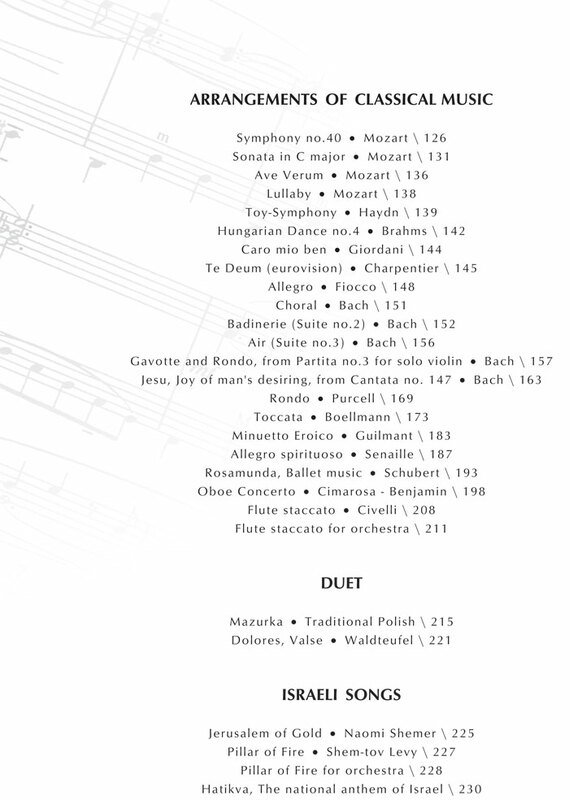 At its peak, the orchestra was composed of some 30 musicians. In a concert at the Zionists of America hall, the orchestra presented its accomplishments in brilliant performance of a classical and colorful program. The highlight of the concert was the performance of the conductor Yehuda Openheimer as a soloist. He showed that he is a natural musician, a virtuoso, who devoted his time as an organizer, composer and conductor. One should hope that the organizer Y. Openheimer will swap after his musicians and institutes to set up centers and orchestras for the Israeli youth." 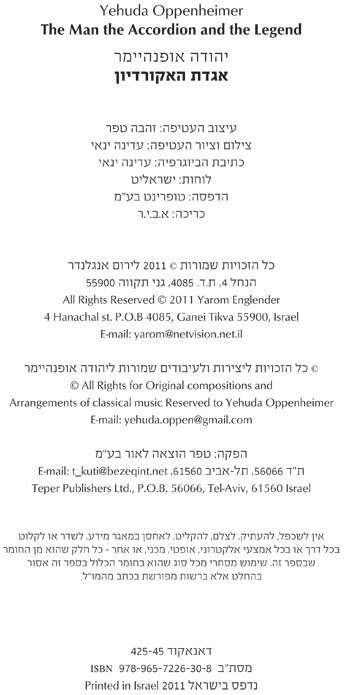 Yehuda began composing new works like: "Eilat Valse", "Picnic", "Golan Valse" and more. He composes up till today. He published his original and classical works in 3 CD's called: "The magical Accordion", "Accordion mon amour" and "Two friends". The composer Mark Lavri wrote a work for him called "An Israeli Raphsody" and Yehuda played it with the Hamburg orchestra in Germany. 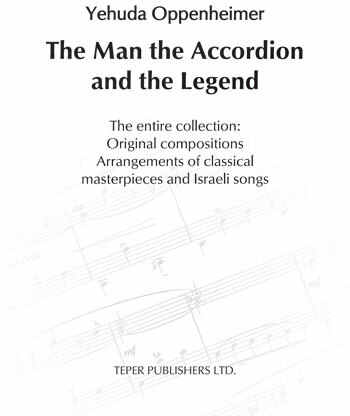 "An Israeli Raphsody" is on the first CD - "the Magical Accordion". In 1966 he won a competition with his work "Ciaccona". This work was chosen to be the test piece for an international competition that was held in Valencia, Spain. 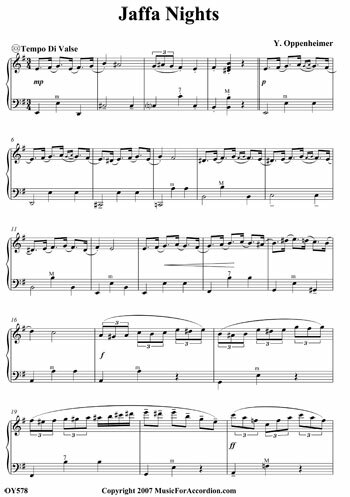 The "Ciaccona" is a set of variations on a Portuguese Folk song - "La Folia" and was an inspiration to many musicians like Corelli, Vivaldi and more The winner was a teenager named Richard Galliano who is today one of the greatest. Accordionists in the Jazz Musette field. He lives in France and recorded the "Ciaccona", performed by him, with an orchestra. Another talent of Yehuda is photography. All his life he is taking pictures. He was once a member of the Tel Aviv photography club and in 1988 was his first photography exhibition. The critics wrote:"Yehuda is a collector of beautiful things. He finds beauty in the most prosaic daily routines and gives it an artistic touch. Even without knowing that he is a musician you can feel visual music with a wealth of sounds and harmonies coming out of the pictures. He does not use tricks or optical effects. He has a direct approach, esthetics and balance and therefore induces harmony. He engages the old with the young in architecture, and peaceful nature with powerful scenes." On the 4.1.90 issue of the "Photography World" the front page is a photograph by Yehuda. Many pictures were taken during traveling abroad. Those trips were taken with his private car or on large ships while he performed in entertainment shows for the passengers. Sometimes they drove with another couple and of course, alway the friend who sat next to the Accordion said: "I didn't see the right side of Europe at all!" In 1987 Clair passed away after a long illness. Yehuda took care of her during all this period with great devotion. He met Adina Yanai first when she came to study the Accordion. She was 13. He remembers her as a very talented student, and her face glowing every time she came to the lesson. She played The little fuge of bach in sol minor with a quartet on the radio. After 3 years she left Tivon and went to learn art in Bezalel. Adina married and went with her husband who was sent from work to Chile. Their daughter Ornit was born in Chile. Then they moved to the USA and their son Tal was born. In 1972 they came back to Israel and Adina started to teach art in the Israel Museum. Yigal served as the first academic secretary of the academy of the Hebrew language. In 1995 Yigal passed away after a severe illness. The music made Adina and Yehuda meet again and their bond grew deeper and warmer and became great love. The love for music, art, Photography and nature kept them together. Yehuda left Tivon and moved to live with Adina. Her family and friend welcomed and embraced him. Adina's support and inspiration helped Yehuda release his 3 CDs with her illustrations on the cover. They continue their musical creations together. "It is all thanks to the Accordion", said Yehuda. "The Accordion brought to me nothing but luck and happiness." Harley Jones, a famous Accordionist from New Zealand, owns a publishing house in the internet. He is also the founder of a magazine known as "Music For Accordion". He heard about Yehuda and contacted him 6 years ago. Since, Harley published over 100 of his compositions and his arrangements for classic works and songs. A child from China who bought the "Eilat Valse" had called Yehuda and told him how much she enjoys his music. Yehuda loves people and people love to be in his company. Many of his students keep coming again and again just to be inspired by him to play with him. Yehuda established an orchestra in the music center in Modi'in, inder the management of Ronit Cohen. The ensemble is composed of 6 musician, 4 of them are his former students. the orchestra is performing in the music center concerts and in elderly houses, all as volunteers. One of the orchestra members, Yarom Englender, a former student, is the inspirational creator of the project telling the life story and work of Yehuda Oppenheimer and also contains all the original works and arrangements of Yehuda, the man who transformed the Accordion from a popular Folk music instrument into an instrument heard in concert halls, and for that he was awarded the title "The Prophet of the accordion in Israel".